I know! I don’t know what came over me, standing there in the Sweetie Cakes bakery in Lumberton. And a surprise cupcake – Butter Cake with Buttercream…..made into a sunflower! I cried over the sunflower cupcakes because I didn’t expect them and Mom really surprised me. I thought it was so sweet because my favorite flower is the sunflower and they will also be the flowers in my wedding. She got me good. I was quite embarrassed that I cried though. These cupcakes were insanly good. I have two favorites: The Swiss Chocolate with Peanut Butter Buttercream and the Lemon Apricot with Lemonglaze. The Lemon cupcake was bursting full of tart lemon flavor. Vee also likes the PB and Lemon cupcakes the best. Great minds think alike, heh heh. My Mom’s favorite is the German Chocolate. The thing about these cupcakes is that the cake part is super moist. Everyone wanted to know where Mom got them and how much they were. 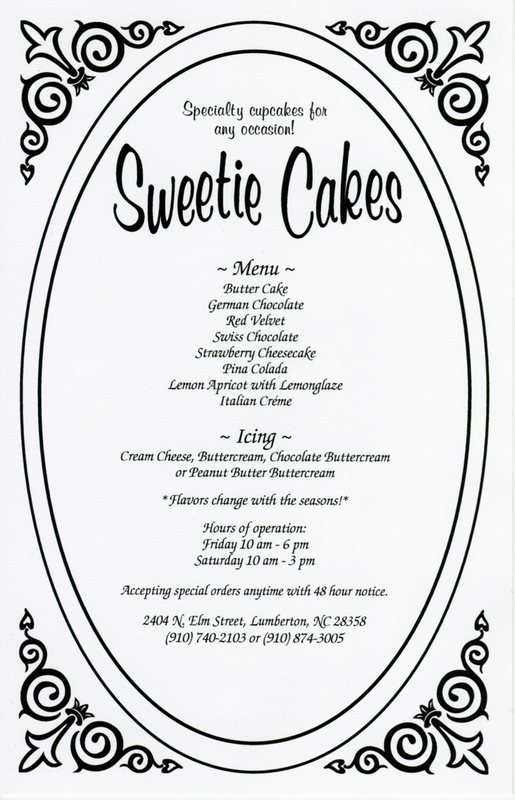 I’ll be making a pit stop at Sweetie Cakes every time I’m in Lumberton, and you should too! The shower was lovely. My soon to be sisters-in-law, Jenny and Christie, put up festive decorations. 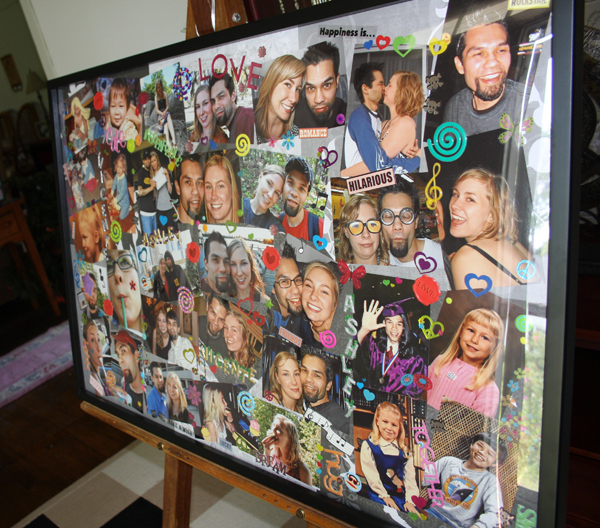 My other soon to be sister-in-law, Ellen, made an awesome photo collage of Vee and I over the years. Vee’s Mom made amazing Filipino food as usual! Pancit, Fried Rice, and Egg Rolls. Everyone loves the Egg Rolls. Games were involved – we all had these clothes pins to wear. Anyone who said “good” or “wedding” lost their pin to the person who caught them saying those words. The one who ends up with the most pins, wins a prize. Aren’t these pins the cutest!! What kind of animal would he want to be? What is his favorite color? Who is he named after? etc.,etc. I think I ended up chewing 8 pieces. I maybe only got three answers right (with help). Who am I marrying?? I apparently don’t know! And of course, there was fun gifts. Thanks to everyone who made this shower special!